One thing people kept asking me at Emerald City Comicon, when they figured out I am an Aquaman fan, is what I think of Jason Momoa playing Aquaman. I answered as honestly as possible every time. In short, I haven't seen Momoa in action. I do not watch Game of Thrones, but I'm well aware of the character because I've read the books. I don't mind the change in look... Aquaman has been re-created multiple times, even in my lifetime. The blond hair, while it has been used as a plot point, is not central to the character. The only reason that color was chosen was because it stands out well from water-based backgrounds (which is why orange was picked as well). What I care about is a good story. I want to see a plot that rocks the house. I want to see a performance from the actor that's believable and works. I am willing to see what this different take on Aquaman is... but how much I like it will NOT depend on how close it is to the "original" stories, such as they are. It will depend on whether or not they capture the essential scope of the character: his ability to live and thrive underwater, giving him a realm far greater than any of us land dwellers can hope to see. As a fan, my inclination is to be inclusive rather than exclusive. I don't believe in cutting off good creative works because of some misguided loyalty to another work. I am a Star Trek and a Star Wars fan. I love Doctor Who, Sherlock, The Flash, Gotham, Arrow, and a good dozen other tv franchises. I enjoy good, fun works. My universe can hold a lot of different versions of Aquaman. In fact, one of my favorite things about collecting sketches was seeing the utterly different takes each artist had on Aquaman. Each artist brought their own baggage and their own style to Aquaman, making each sketch a precious look into another universe. In the "official" DCU, I love Elseworld and Multiverse versions of Aquaman. 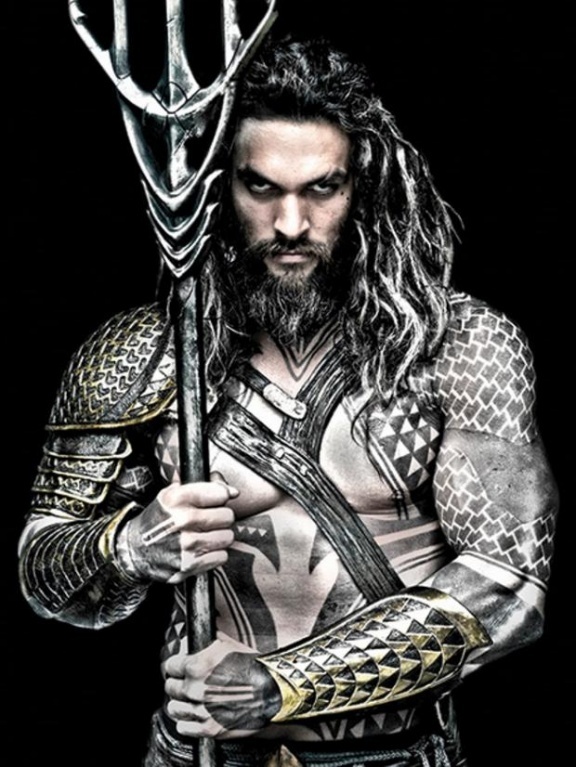 So, I have no real opinion on Momoa's Aquaman yet. I'll see it when it happens, and maybe I'll have a different view then. Maybe it won't be my cuppa. Maybe I'll love it to pieces. Hard to say, since it isn't really out there yet. The single image we've seen is promising... it promises something completely new and different with callback's to Peter David's run. I'm certainly eager to see what it is.